As a Cordon Bleu grad who grew up in Detroit's Grandmont Rosedale neighborhood, lack of access to fresh local food in Detroit is a particularly personal issue for Kiki Louya. "You go to a grocery store and I remember since I was a kid: your meat is brown, your produce is rotten, and you get used to it," Louya says. "You have to wait for that one day at Eastern Market, because it was only open on Saturdays before, and you have to drive really far out to get really good meat or good cheese ... It's just this way of life that we as Detroiters became used to, and it's not the way that we should have to live." 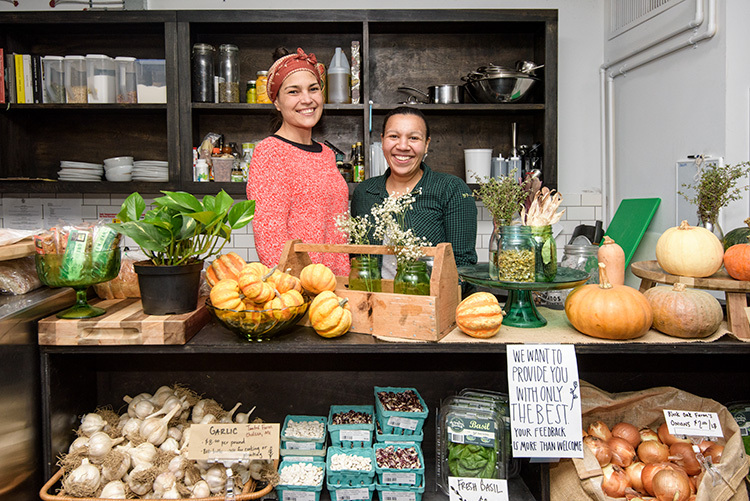 When Louya and business partner Rohani Foulkes set out to change that last year by opening their Corktown grocery, the Farmer's Hand, they found a unique model and invaluable mentorship in Ann Arbor. 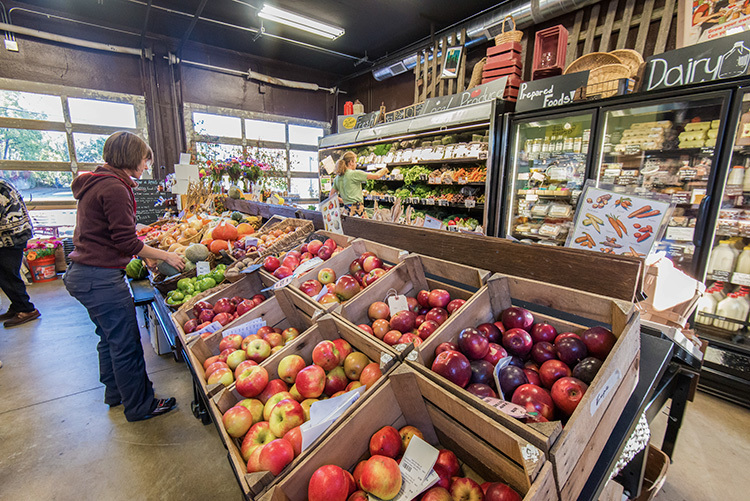 Argus Farm Stop opened in 2014 on the western edge of downtown Ann Arbor with the express goal of creating a year-round grocery stocking exclusively local food. "This was meant to be a demonstration project," Brinkerhoff says. "We're the first one that's done it as a business. I think all the other ones across the country are done as nonprofits or cooperatives, which have some advantages. But we said, 'Let's put it as a business so we can hire employees and reduce burnout.'" First, however, Argus had to develop a viable business model. Brinkerhoff describes the business as a "hybrid" between a traditional grocery store and a farmers market. The store works on a consignment model, paying farmers 80 percent of gross sales of their produce and allowing them to set their own prices. Argus co-owner Kathy Sample says the model takes a traditional farmers market to the next level, making local food more readily available to local consumers with minimal added effort for farmers. "Farmers markets are so charming and that's been such a traditional model that I don't think people realize how confining that is for a small farm," Sample says. "That's why I think food got industrialized. These small farms can't do more than one market a week." Although the business is young, it's been hugely successful thus far. Argus has paid out $2 million to over 150 Ann Arbor-area farmers and some Detroit producers since it opened. 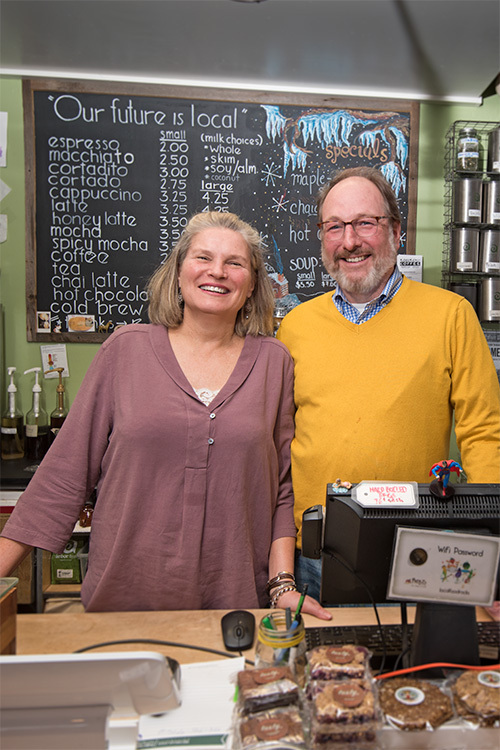 Sample and Brinkerhoff keep the operation profitable for themselves by also running a coffee shop out of the compact 1,300-square-foot store. And farmers seem thrilled with the setup. "It's so dang convenient," says Tyson Gersh, cofounder and president of the Michigan Urban Farming Initiative in Detroit, one of the earliest farms to sell produce through Argus. "It's everything it needs to be. I don't have to think about any of it. All I've got to do is do the growing and drop it off and they figure it out." 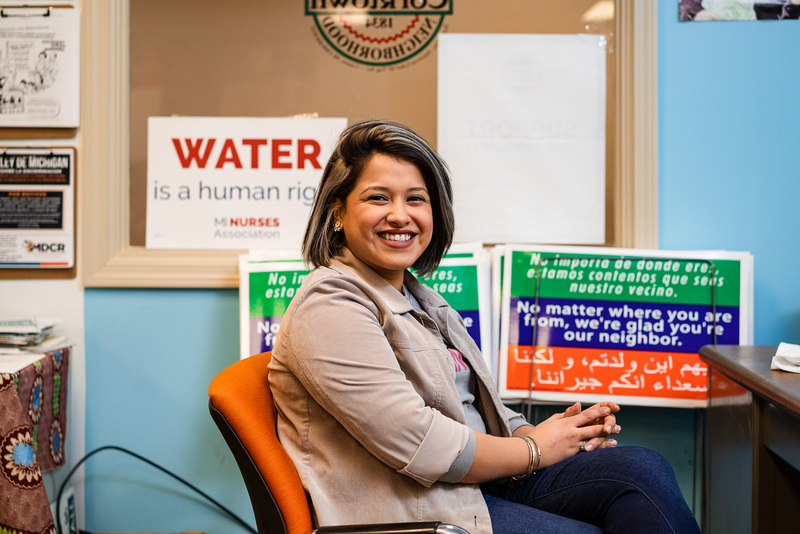 Argus first came to Louya's attention while she was having exploratory conversations about opening an all-local grocery store and people kept mistakenly assuming that she was associated with the Ann Arbor business. When Louya looked into Argus' model, she was skeptical at first. "My thought was, 'How does this make money?' Because that's the bottom line," she says. "I didn't believe it at first. It was almost like a dream." Louya requested a meeting with Brinkerhoff and was surprised when he walked her through Argus' business model and finances in detail. "Really, once you see that, it was amazing because it was like, 'This is possible and we can do this,'" she says. "But I needed that assurance because there's just nothing like it." 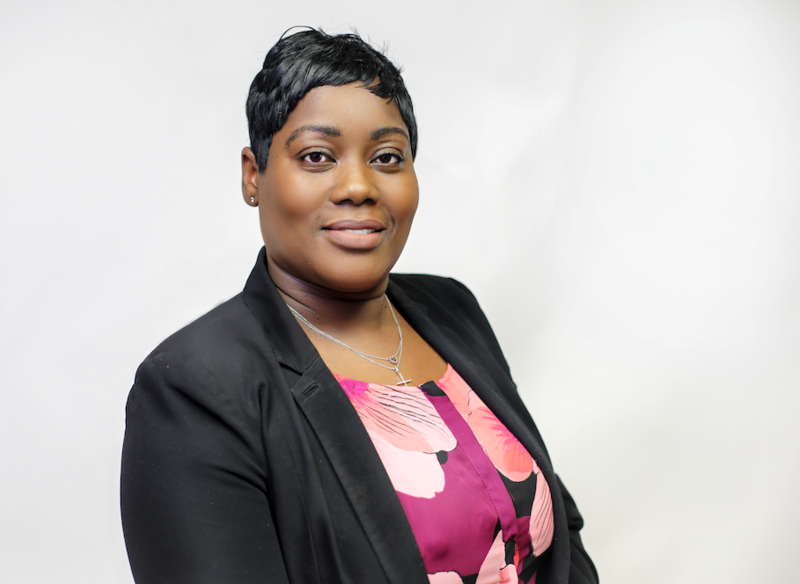 Foulkes, too, discovered Argus while she was pursuing options to start a community-oriented food business in the metro Detroit area. She describes Argus as "an attractive, functional, non-traditional grocery that every neighborhood should have," reminding her of the neighborhood groceries and butchers that were more common in her native Australia. Foulkes and Louya immersed themselves in the Argus model, shadowing at the store to get a thorough grasp on how Sample and Brinkerhoff's business worked. Argus' influence is clear at the Farmer's Hand. The Corktown store's layout is compact—at 390 square feet, even smaller than Argus'. All produce at both stores is clearly labeled with the name and location of the farm it came from. 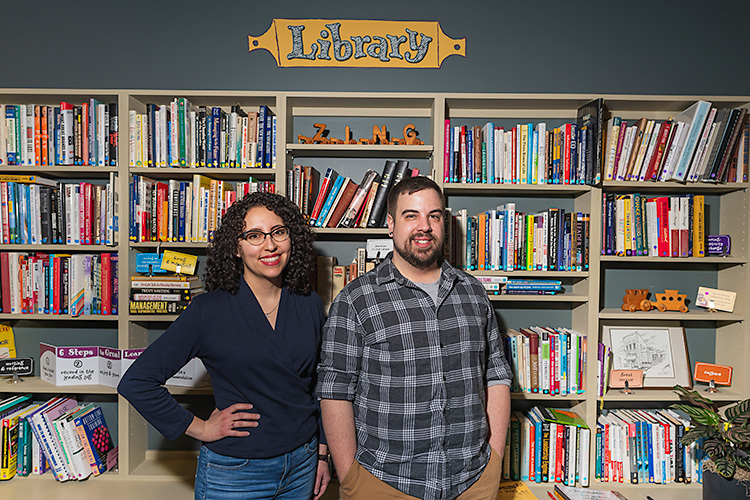 The Farmer's Hand's consignment model gives farmers 70 percent of gross sales of their produce, though Louya and Foulkes hope to bring that up to 80 percent soon. And while the Detroit store doesn't have a coffee shop, it does have a revenue driver in a prepared food counter and the recent addition of beer and wine. Louya and Foulkes are lavish in their praise for Brinkerhoff and Sample's mentorship. "Had we not had them, we wouldn't have been as far along as we are now," Louya says. 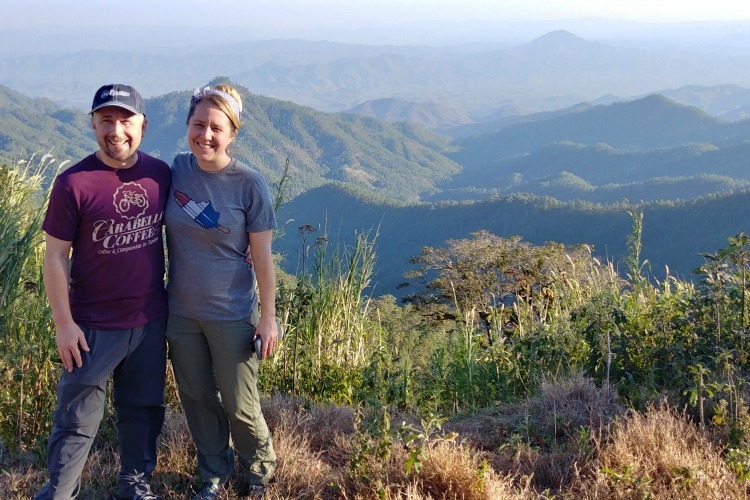 Brinkerhoff and Sample are enthusiastic about the Farmer's Hand's success thus far, but they're already looking ahead to how they might spread the Argus model further. They've currently broken Argus' business model down into 12 steps, which are viewable to the general public at their store. But Brinkerhoff speaks of streamlining that into a four-step process. "We're amazed by [Foulkes and Louya's] energy and that they've gone ahead and done it and done it so quickly," Brinkerhoff says. "It makes me want to put some energy into making the template easier to use." Sample says she thinks Ann Arbor alone could accommodate "two or three more Arguses." Brinkerhoff agrees. "If you can get two or three Argus-type stores, suddenly you can have farmers that can make a sustainable, healthy income," he says. "It could really put us on the map for how local food is done." But Sample and Brinkerhoff aren't particularly interested in starting another store themselves—or even profiting from franchising the model. Sample estimates that she and Brinkerhoff are currently working with 15 people nationwide who are interested in replicating it. Locally, Clarkston dietician Angela Bollini is aiming to open an Argus-like business called the Farmer's Harvest in Rochester this summer. "They've been so helpful," Bollini says of Brinkerhoff and Sample. Louya and Foulkes see huge potential for the Argus (or Farmer's Hand) model to be further replicated in Detroit as well. Louya says similar stores could easily take root in Grandmont Rosedale, the Livernois and Seven Mile area, and other Detroit neighborhoods. But, like Brinkerhoff and Sample, Louya and Foulkes aren't necessarily interested in opening another store of their own. In fact, they're finding themselves beginning to fill the role that Sample and Brinkerhoff once filled for them. "The funny thing is we have people coming to us now, asking for our help," Foulkes says. "So if we can pay that forward, it's like the whole thing comes full circle."